Reays won a national coach industry award on Thursday night at a glitzy ceremony in Manchester hosted by BBC weather presenter Carol Kirkwood. Judges at the 2017 UK Coach Awards honoured Reays with a Silver Award in the Top Medium Fleet Operator of the Year category. Commercial director Michelle Stacey and Rosie Groves, our marketing and sales assistant, received the award at a dinner for 250 guests at the Mercure Hotel in Piccadilly. "We were proud to be the only company from Cumbria to be shortlisted at these awards - and even prouder to have our work further recognised by taking home a coveted award on the night," said Michelle. 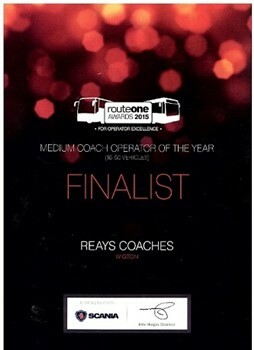 "Congratulations to Maynes Coaches, of Scotland, who won our category. It was nice to see a fellow independent, long-established family-run firm take the Gold Award," she added. At a glittering ceremony held at the Mercure Picadilly Manchester, Reays driver Mick Sinclair was awarded Silver place in the top UK Coach Driver category. The competition was stiff with nominees from all the top coach companies in the UK, Mick said "to have won the silver award when there were so many fantastic drivers in the same category is an absolute honor, one of the highlights of my career". Reays were also chosen as a finalist in the Top Large Fleet Operator category. Sadly they were pipped at the post by The Kings Ferry, Managing director Chris Reay said "we were very proud to have been chosen as a finalist, particlularly as the nomination came from our customers. We were disappointed not to win, however this is the first time we have been entered; we will be back again next year!" A Cumbrian company is gearing up for twin success at the 2014 UK Coach Awards after being short-listed in two categories. Reays of Wigton is among the finalists for the Top Large Fleet Operator at the coach industry's most prestigious annual awards, which take place in Manchester next month. And one of the family-run firm's employees - Mick Sinclair - has also made the short-list to win the coveted title of Top UK Coach Driver. The line-up of finalists was announced on Mon 10th Mar. The winners will be revealed at the finals presentation ceremony, being hosted by BBC TV presenter Carol Kirkwood on Thursday April 10 at the Mercure Piccadilly Hotel in Manchester. Chris Reay, managing director of Reays, said: "I'd like to congratulate Mick on being short-listed for Britain's best coach driver, which is a massive achievement in itself. He is the perfect ambassador for Reays Coaches. It isn't a job to Mick. It is his life. "But we are very proud of our whole team of drivers. They are one of the reasons we are on the short-list for Top Large Fleet Operator, along with all our staff. 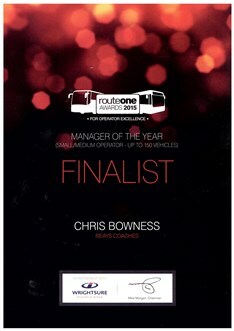 "It would be amazing to win that title, having been named Top Independent Operator at the UK Bus Awards previously. It is especially pleasing as the coach nominations have come from our customers, so we thank them too." 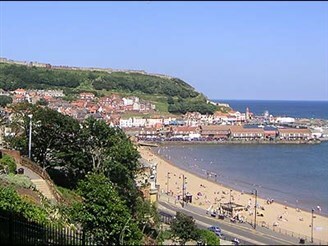 Reays runs one of the largest fleets of private hire coaches in the north of England. It also operates public and school bus services throughout Cumbria, including the City Hopper network in Carlisle. Mick, 49, handles a variety of driving jobs for the company, ranging from corporate trips to European holidays. He is also the regular driver for the official Burnley FC team coach. 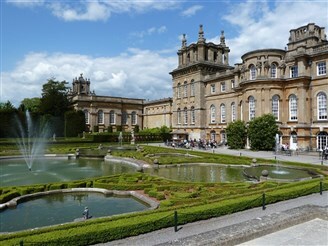 He said: "Driving coaches is all I have ever done - and all I ever wanted to do." A total of 49 people, projects and organisations are on the shortlist for the 2014 UK Coach Awards, across 16 categories covering the whole range of activities involved in the planning, promotion and operation of coach services. Awards chairman Allan Edmondson said: our sincere congratulations go to all the finalists in this year's awards. The judges will have a tough job in selecting the winners from such a strong field. For the sixth year running, over 200 nominations were submitted for the various award categories, many from customers who've responded to our appeal to tell us about their experience of quality service from operators and front line staff. 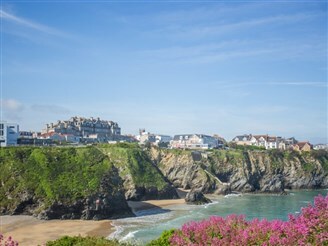 "To achieve high standards, coach travel relies on a whole raft of people and organisations to work together to deliver that extra special trip, day out or holiday. We're delighted to hear about best practice in all these areas from the people who really matter, and to recognise and reward the commitment and hard work involved.